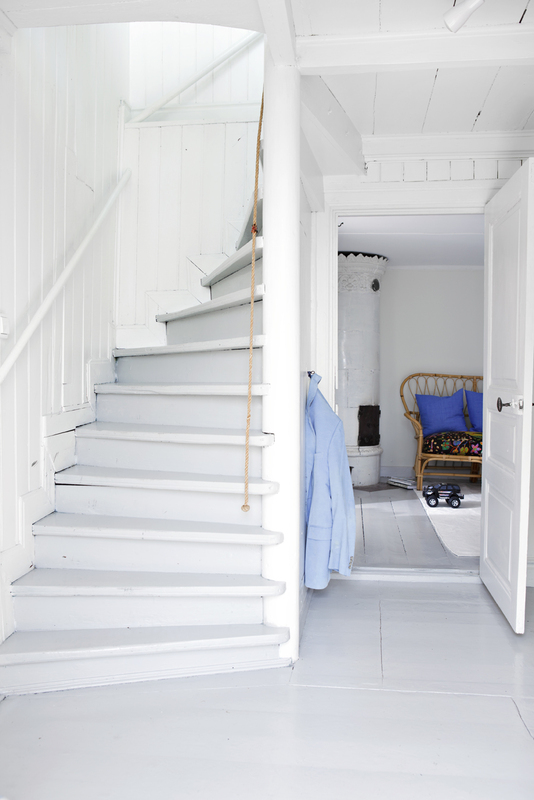 This cottage in Sweden has done white so well with a touch of blue running through every room in the house. I also have some blue in my living room and though it is just in a few small pieces it adds a light touch of colour that I like. I have with a painting with blue in it, a vase with a blue pattern and two bowls but you could use it in cushions, a carpet or a small blue wall. 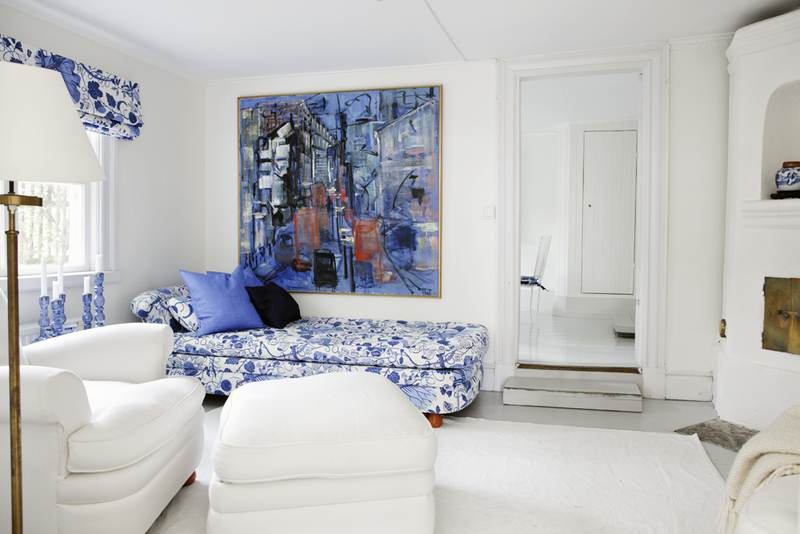 What colour do you use to add to your white rooms?